Livorno to San Gimignano and Volterra Shore Excursion: This Trip Involves a Visit to Famous Archaeological Highlights in North Italy Managed in Mercedes Sedans. Italy has different shades that can be explored only by accessing a road trip. The northern regions are full of splendid landscapes that also consists culturally-rich sites. 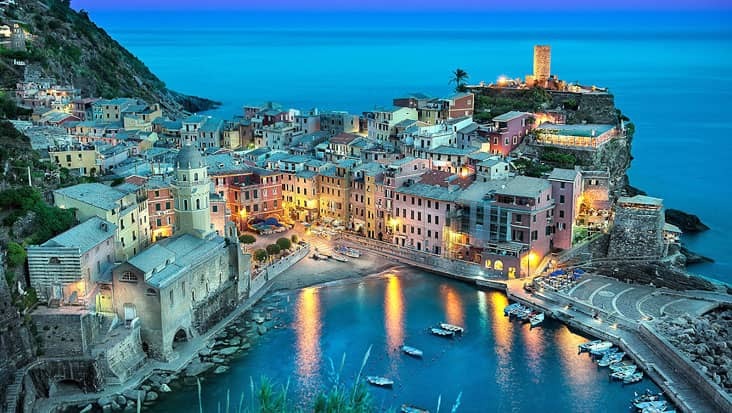 Livorno is a marvelous port city that is wrapped in the arms of nature. This region is perfect for accessing a road trip to amazing areas such as San Gimignano and Volterra. Benvenuto chauffeur service can be trusted for this travel. The customers would be offered luxury sedans for this ride that is quite appealing. 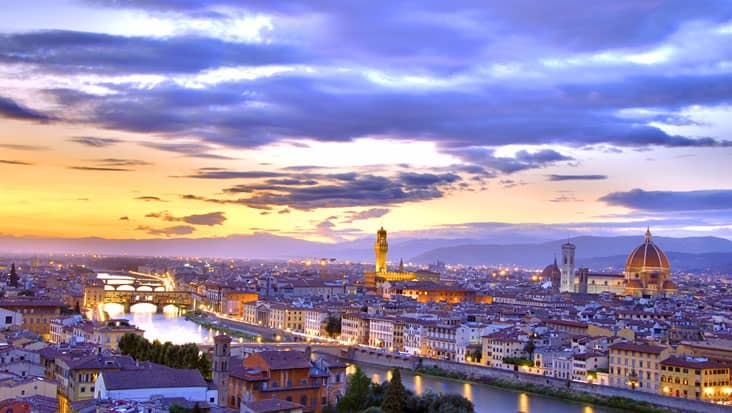 Livorno to San Gimignano and Volterra Shore Excursion would be completed in nine hours without any sort of inconvenience. The package cost varies depending on the vehicle you select. It is suggested that you start this trip in the morning hours. San Gimignano is a culturally vibrant destination that is filled with medieval structures. The 13 towers situated in this town are quite admired by the tourists. 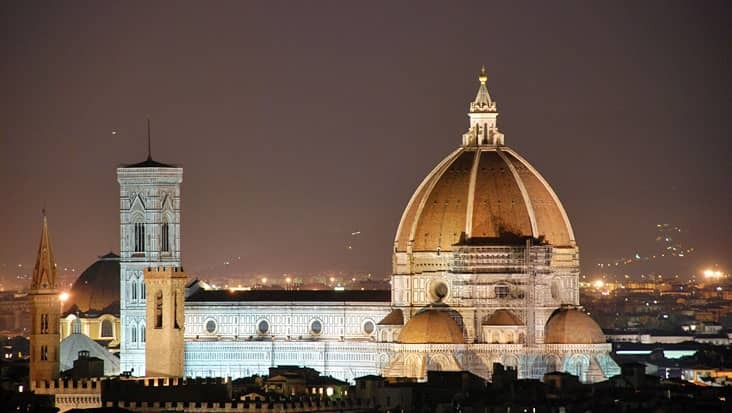 Learn about the classic heritage of this land by examining impressive landmarks such as Palazzo del Popolo, the Duomo and S. Agostino Church. The Museum of Torture is a unique landmark that would surely numb your senses. Volterra would be reached after crossing a serene patch surrounded with natural elements. This city holds its 3000 years of history in an interesting manner. The archaeological ruins of Volterra are well-renowned in Italy. You can check the Theatre of Vallebona that belongs to the Augustus period. 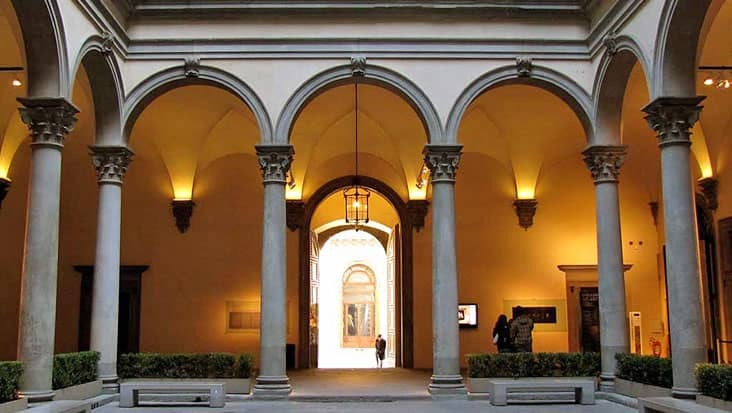 Some of the popular medieval structures present in the city include the Fortezza Medicea, Convent of San Girolamo and the glorious palaces of Minucci Solaini. The driver hired from our service is capable of touring all these sites under quick time. During the journey the chauffeur will provide substantial information about different highlights. This is quite advantageous for the customers to stay well informed. Moreover, the chauffeur would also guide you to excellent dining locations so that you can savor mouth-watering cuisines. For Livorno to Volterra and San Gimignano Shore Excursion our service allows you to select the vehicle as per your will. We possess Mercedes sedans and minivans which are high on style & luxury. Mercedes minibuses are also available for group traveling. 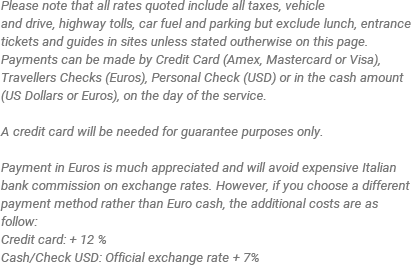 The tour expense includes vehicle and driver charge along with fuel, parking and toll taxes. Entrance fee and dining bills are not part of this main tour cost.